NAILS. 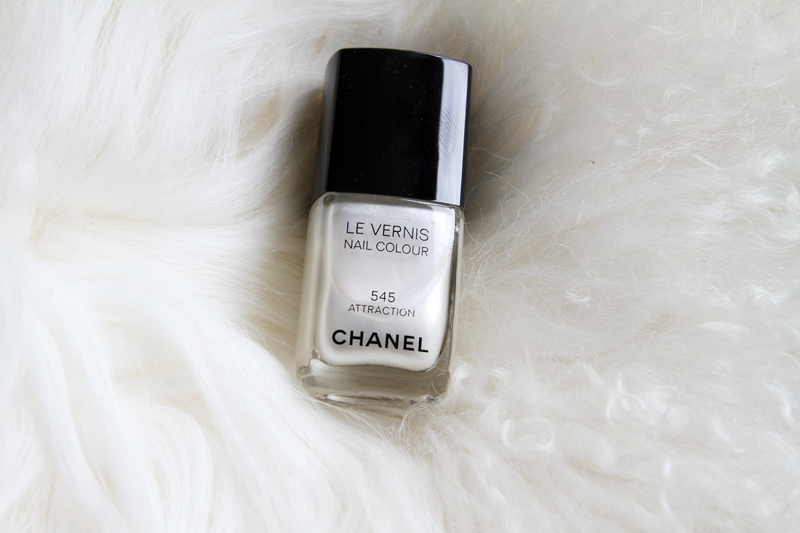 I’ve been wanting to get my hands on this chanel nailpolish ever since I saw it on the models at Chanel’s s/s 12 show. It looks like the perfect shade of pearly white, can’t wait to try it out this weekend! This entry was posted in Beauty and tagged Chanel, chanel attraction, le vernis, nailpolish, pearly by Carolina Engman. Bookmark the permalink. Oooh, it’s gorgeous! Love the perly shades! I love this luxurious jewel like tone! Yes, a very elegant colour! whaw this is beauttiful,love this white shade! lovely and pure shade of white! Oooh, I love all things that are pearly white, so this is the perfect nail color! LOOVe this color! can’t wait to see it on some nails! Great color… I will try it too..! I have been wanting this colour for ages too! It is such a gorgeous colour for evening wear. please show is the result when you try it!!! oh it’s so stunning!! we can’t wait to see how it looks on your nails! Love this color, cant wait to see the result! I LOVED that color on the models but to me it seems like a tough job get get this nailpolish need on the nails! I love all chanel nail polishes!! Can’t wait to see how it looks like on! Can’t wait to see how it looks on you. Love the shine, this polish sparkles like real pearls! I have it and I can say that it is perfection! I always will like Chanel. Perfect for the SnowQueen nails! Such an epic colour! I’m looking forward to your pictures!